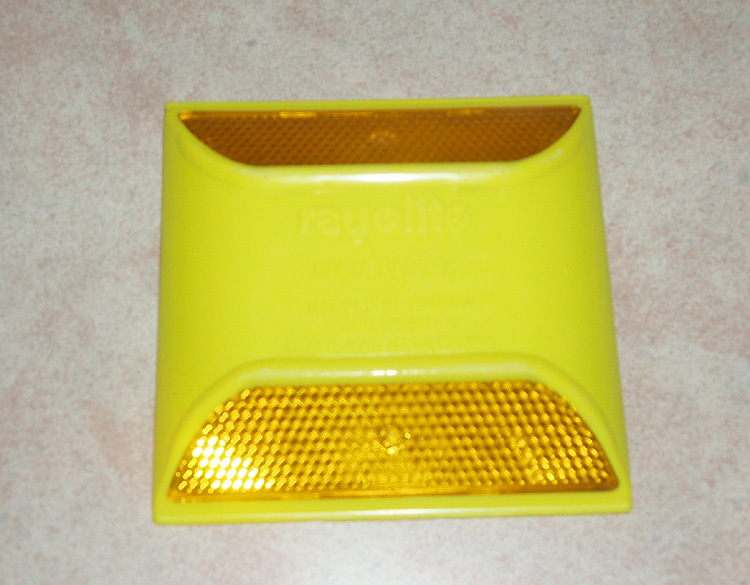 Round Shoulder Yellow | Alpine Products, Inc. The round shoulder is a standard type reflective pavement marker designed to offer maximum stength, high reflectivity and lower tired impact. It’s brightly colored housing provides high visibility for daytime delineation. The round shoulder has an improved snoothed -edge shape that reduces tire impact and increases its lifetime.